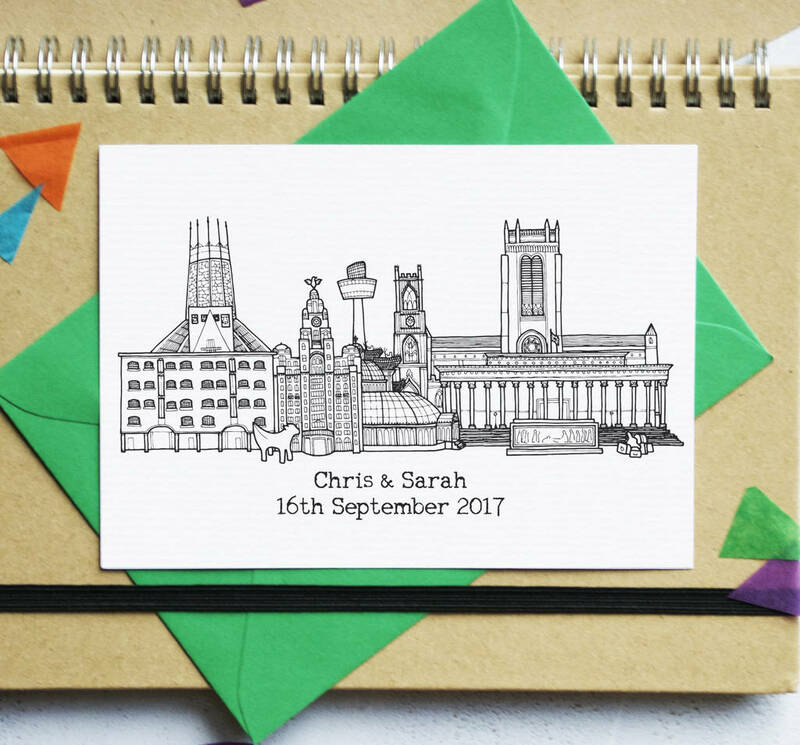 A charming folded wedding invite featuring a monochrome cityscape illustration of the skyline of the city you are getting married in. 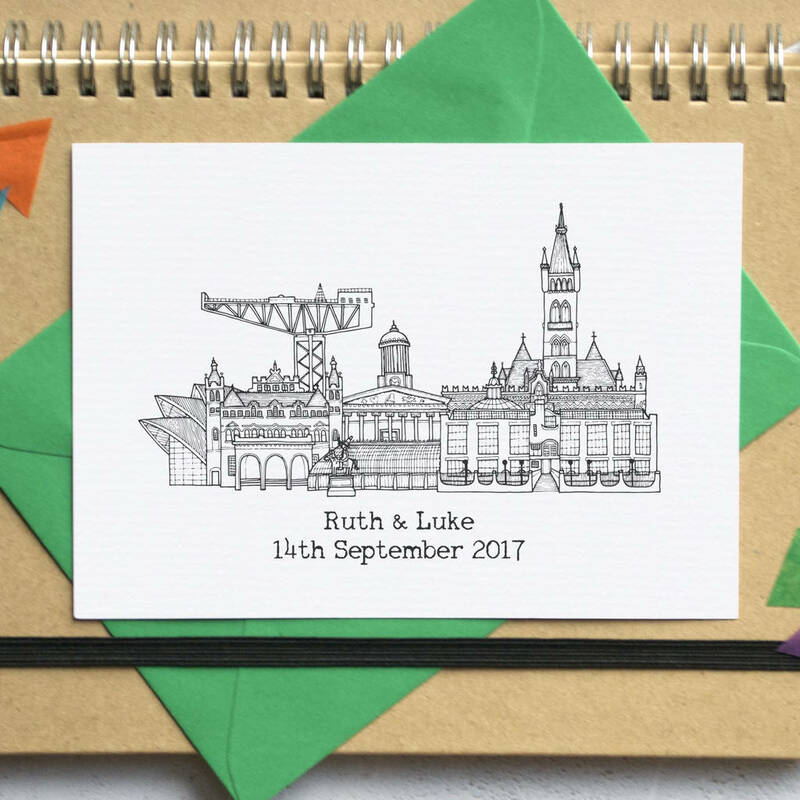 These invites offer a really personal touch to your wedding stationery. 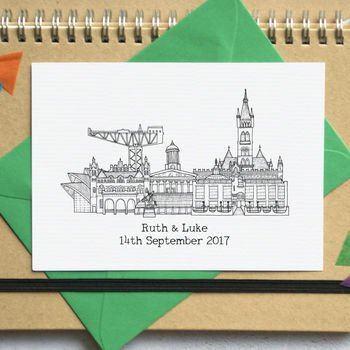 You can choose from an ever-expanding range of different skyline illustrations, then choose your font, wording and envelopes. 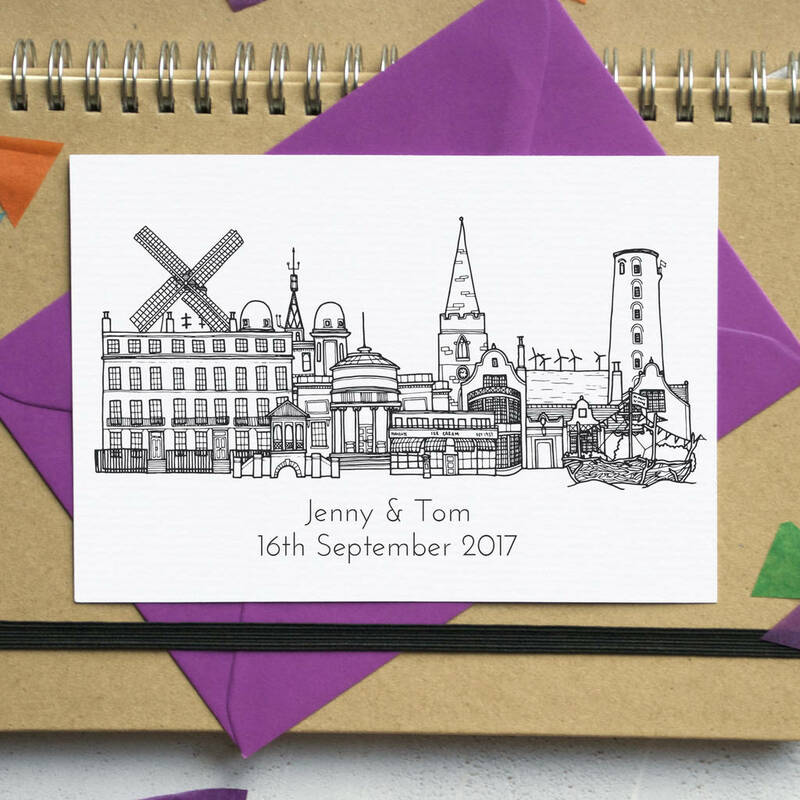 The monochrome illustration is accompanied by your choice of envelope colour, enabling you to tailor the stationery to your own colour scheme. Also suitable as an invite to a party, or a hen or stag do. 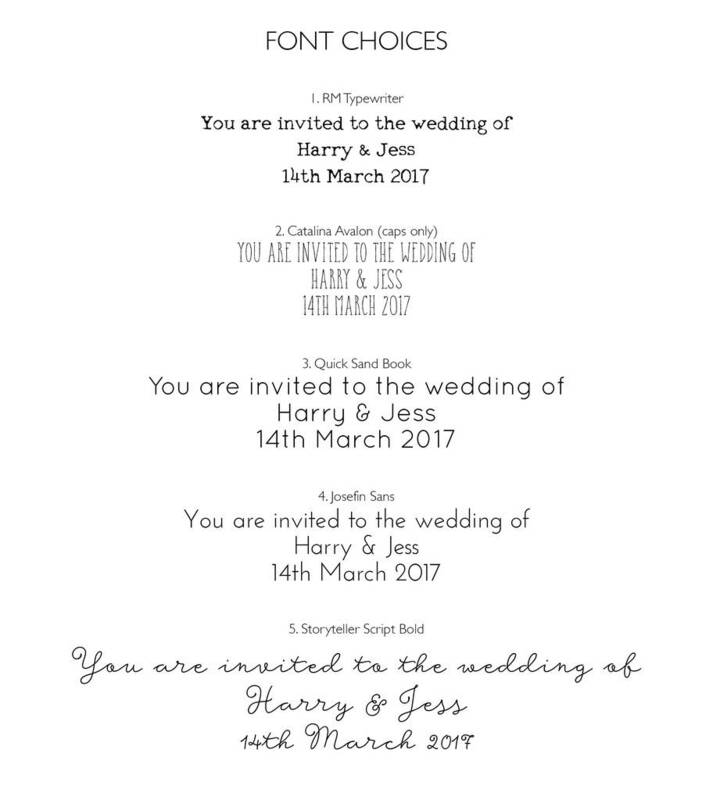 Ensure you've included all the necessary information for your invites to prevent any delays. If your wording is too long to fit into the text boxes then please send a message after placing your order. Please make sure you have checked your text for any spelling errors. You will only recieve a digital proof if you have selected to pay for this service - this will be emailed to you within three working days (please keep checking your spam), and the invites will not be printed until you have approved it. A second proof can be supplied, but after this any further proofs will be chargeable. I drew each of the cityscapes myself, by hand, using pen and ink. I am in the process of expanding the range of skylines, but at present I am unable to take commissions for cities which I have not yet drawn. 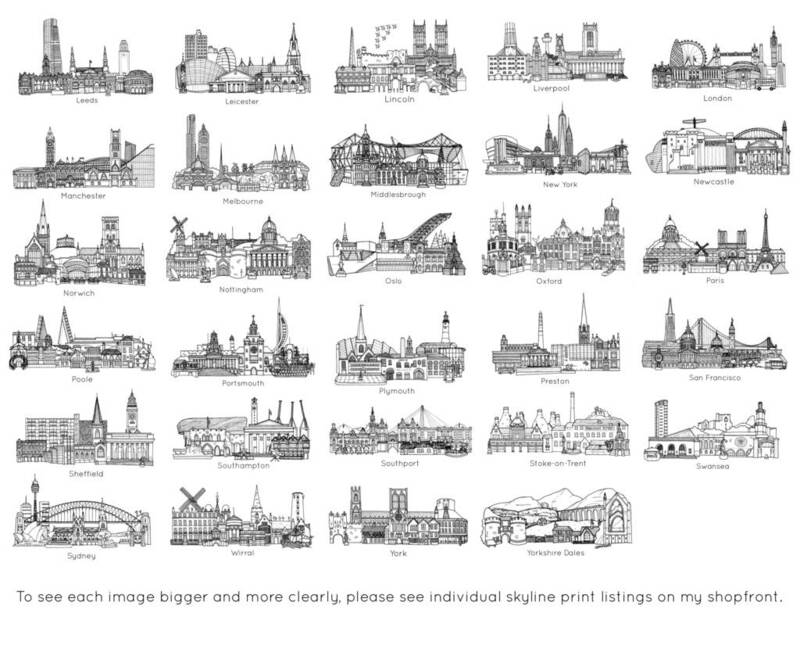 For more information about each of the illustrations (and the landmarks featured in the image) please check the individual listings for the co-ordinating prints. 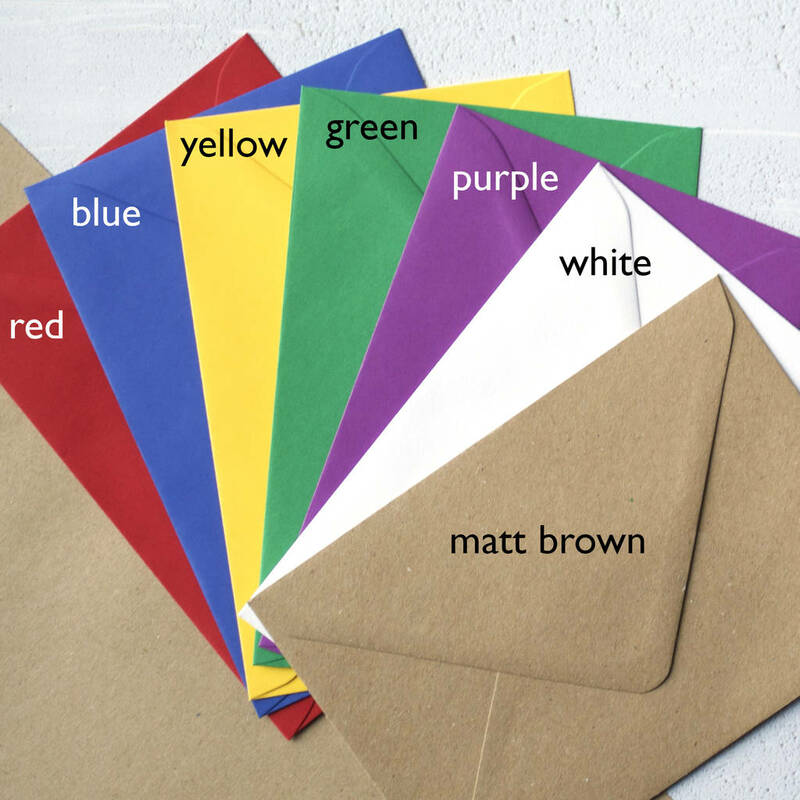 Various different fonts and coloured envelopes are also available. The single sample card will not be personalised - it is to give an idea of the paper and print quality. 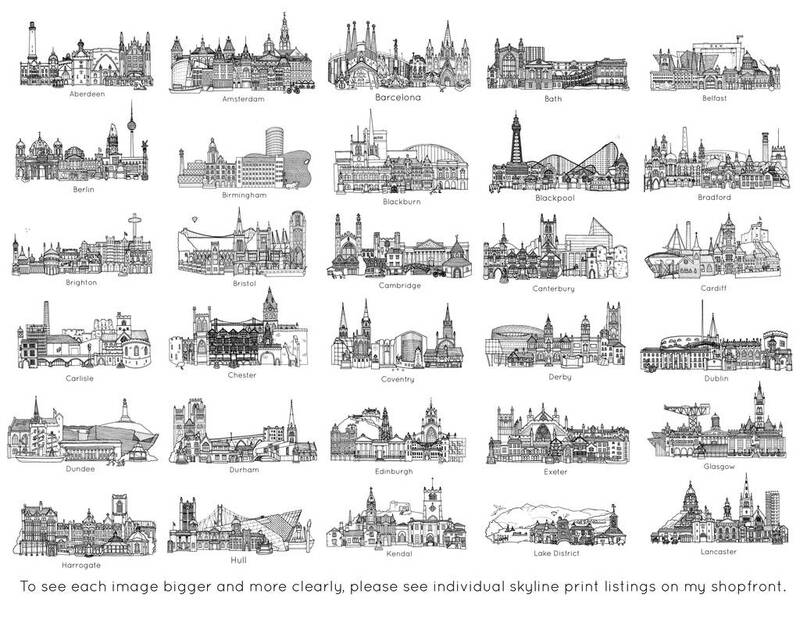 Each of the illustrations is available as a print or a greetings card - please see individual listings for more information about the buildings featured. 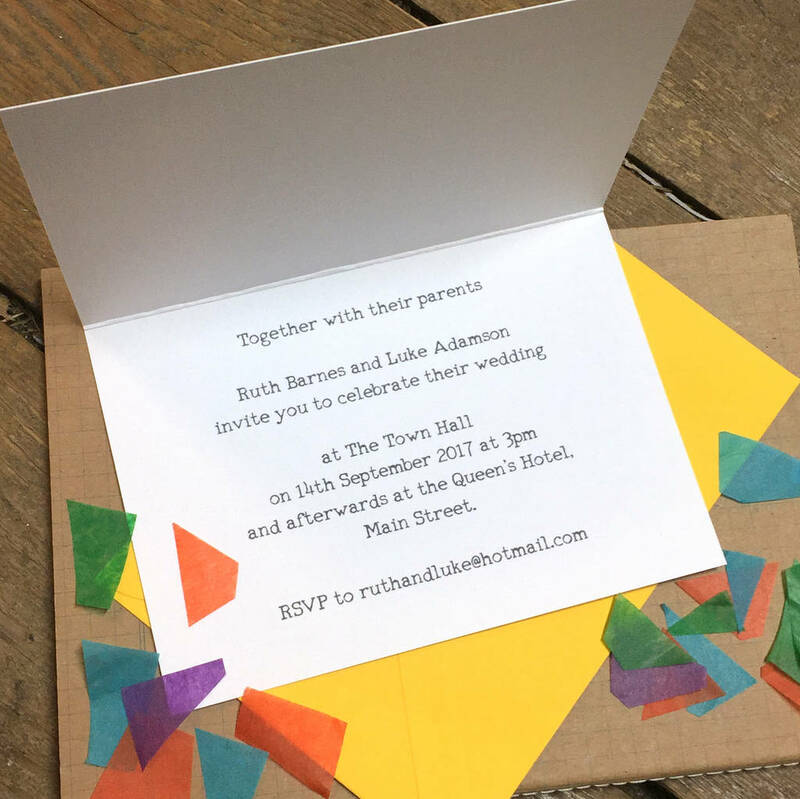 Folded invites are printed onto a slightly textured 300gsm white laid card. Invites measure approx 148mm x 105mm, envelopes are slightly bigger.